If your guests simply require tough and rugged shelter, consider the Pioneer Camping Cabin and other small cabins for sale. Designed in the spirit of the pioneer tradition, it is intended for minimalists who can forgo modern comforts such as a kitchen and a bathroom. At 13 feet by 13 feet, this one room cabin offers sleeping accommodations for up to four people. You’ll find a basic log cabin that is sturdy, low maintenance and comfortable. The Pioneer Camping Cabin was designed for the modern day pioneer who seeks adventure. After a day of exploring the unknown and hiking the backwoods, your guests can settle down for the night in the Pioneer. Or maybe they’re hiking with the kids playing “I Spy” or having a scavenger hunt. Everyone will love returning to their cozy cabin in the woods. This quality rustic cabin features a 6 foot deep covered porch where guests can sit and clean off their boots. It’s roomy enough for a bench or a couple of camp chairs. There is no need to worry about furnishing the Pioneer. Conestoga also offers beds that are perfectly suited for this log cabin kit. Even if your guests don’t travel by covered wagon and aren’t settling the frontier, the Pioneer may be just the small log cabin kit for your property. 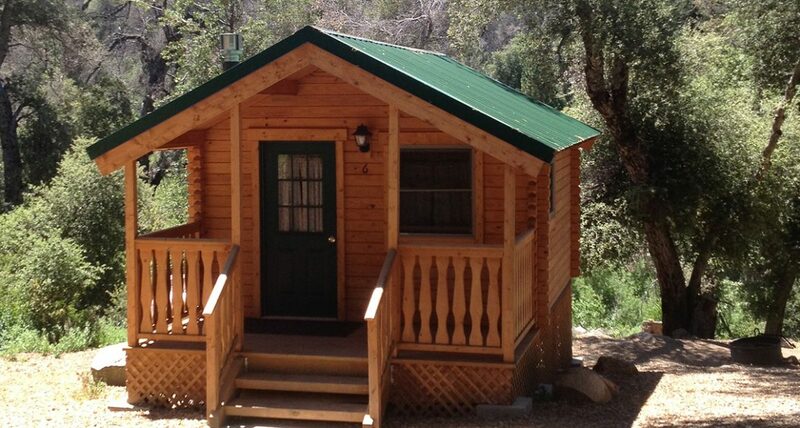 Conestoga offers other small log cabins that are under 200 square feet. 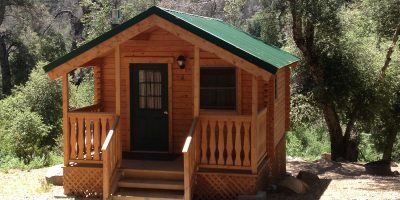 The Conestoga is a slightly smaller one room cabin at 143 square feet, while the Getaway and Aspen are 195 square feet and have two rooms. Even the smallest Conestoga log cabin kits are completely customizable. The Pioneer may be perfect as is or you may want to tweak the plan. 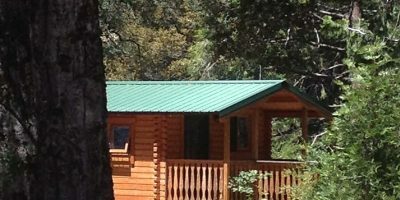 Contact us today to start designing the log cabin floorplan that is right for your site or shop all our small cabins for sale.